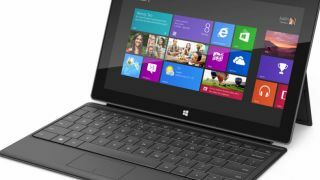 Acer has backtracked on its comments that Microsoft should reconsider launching Windows 8 hardware. Although JT Wang, Acer's chairman, hasn't actually retracted his comments, but has now clarified that Acer won't be dropping out of the Windows 8 race either way. In comments reported by Digitimes, Wang conceded that Microsoft is "pushing Surface to help Windows 8 succeed" and that it has "acknowledged the concerns of the brand vendors". Although the company is still pushing ahead with the Microsoft Surface, Acer is looking at the glass as half full now, with Wang saying that he is "the most optimistic CEO about Windows 8" and "he has given the operating system his highest rating". It's a bit of a change of tune from the other day when he said that Surface would, "create a huge negative impact for the ecosystem and other brands may take a negative reaction". But now it seems that Acer is more concerned with the Surface taking up too much of the lower-end of the market where Acer usually reigns – if the Microsoft tablet hits the shelves with a price tag of $199 (around £130) then Acer won't be best pleased. But with one Swedish retailer listing the Surface price as £650 (around $1,000), that may not be much of a problem.